There are definitely some challenges when it comes to dating as a millionaire. Millionaire dating can be an amazing, out-of-this-world experience. Access to the best restaurants, the most unique and exclusive activities, and the ability to shower your date with everything they could possibly want — but that doesn't mean it's all easy. The real question is, when dating as a millionaire — how big should you go on a first date? Some people expect dating a millionaire to be a non-stop roller coaster ride. And, of course, when you care about someone, you want to give them the best experience possible — you want to show how much you care. But you also want to make sure that a person is genuine, that they want you for you — rather than just being excited by an exclusive dating experience. So what is the perfect first date for a millionaire? Well, the truth is — there's no easy answer. But there are some things you can take into consideration about yourself, your date, how you know each other and what you like to do. If you keep all of this in mind, you'll get the best chance of a long-term connection. 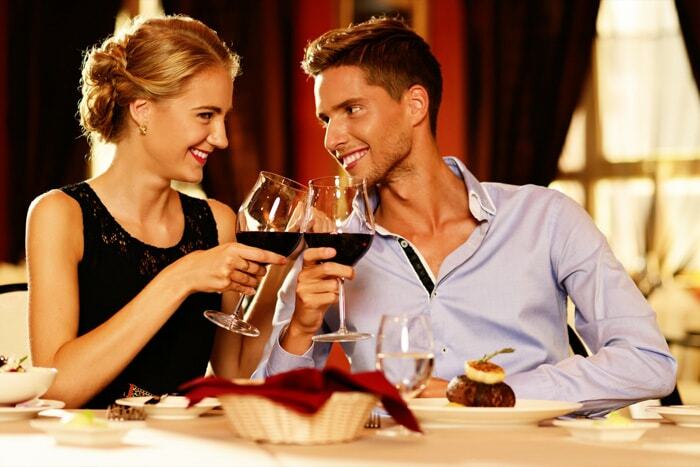 Here's what you need to keep in mind when you're a millionaire going on a first date. First and foremost, how do you know this person? And how well do you know them? If they're a person you've known for a long time, then your lifestyle won't be a surprise to them. Pull out all the stops — an amazing restaurant, a private helicopter ride, an entire spa day for the two of you. It's all fair game. If you don't know this person as well, you might want to keep the date more low-key and look at it as a chance to get to know them. You can still have an incredible dinner or a romantic trip, but make sure you focus on the conversation. This will not only help you to get more familiar with them, you'll make sure they're getting to know you — and not just your lifestyle. How Long Do You Want To Spend Together? Some millionaires love the idea of chartering a private jet and going to dinner somewhere exotic — even on a first date. And it sounds great, in theory. But you need to think about the logistics of this date. If you don't know someone very well, spending an entire day — or an eight hour evening — with them can be a little overwhelming. Sure, it may sound like fun to have a totally over-the-top first date, but be realistic. If you don't know someone that well, focus on quality time — not the quantity of time. That way, if the date doesn't go as well, you can both make your exits gracefully. What are you looking for right now? A big, flashy first date sends exactly that signal — that you just want it to be a flash in the pan. And that's OK, if that's what you're looking for. If you're just looking for a fling, then why not go over-the-top and have the most outrageously fun date that money can buy? But if you're looking for a long-term connection then, when dating as a millionaire, you may want to play down the millionaire status. Small, thoughtful gestures will go a lot further than big, flashy ones, even on a first date. Think about what this person has expressed an interest in and build a date around that, rather than just showing off your millionaire lifestyle. As a millionaire, it may feel like there's always pressure on you to take the lead. You can feel like it's your job to make the plans, your job to set the scene. But if you're really interested in getting to know this person, it's totally fine to ask them to plan the date. This will give you some insight into what they're like, but it will also help you feel secure that they're not just interested in the amazing perks that come with dating a millionaire. Putting the ball in their court can be a really telling experience — and it gives you the opportunity to relax. Going on a first date as a millionaire can be a strange experience. It's normal to feel a lot of pressure. You want your date to have a good time, you have so many options available to you, but you also don't want to hit the wrong note. So think a lot about this person, how you know them, and what you want from the potential relationship that's blooming. And, when in doubt, you can put the ball in their court. Millionaire dating should be fun, so don't stress yourself out.